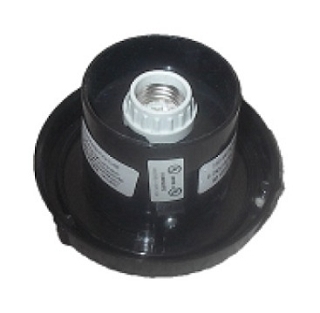 Globes are clear polycarbonate, 12 inches in diameter with a 5.7 inch 3 notch twist lock neck. 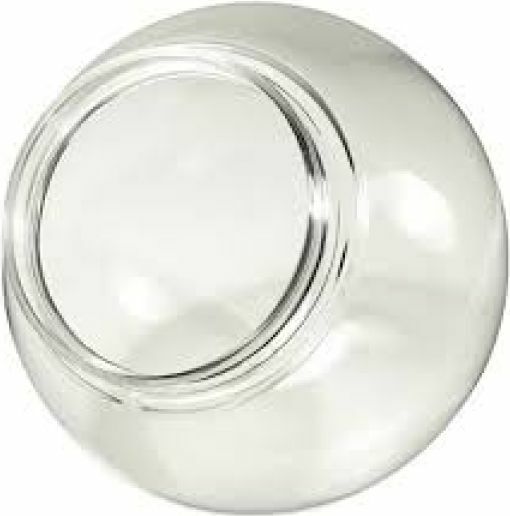 Globes clear polycarbonate and are 12 inches in diameter with a 5.7 inch outside diameter twist lock neck with 3 notches. They are one piece injection blow molded, are shatter and water resistant with UV inhibitors. If the inside diameter of your fitter is more or less than 5.7 inches this will not work with that fitter.